RFID tags are being used to gather player data and offer further insight into NFL games. 1888. That was the year the first photo finish reportedly took place at a horse race in New Jersey, forever changing the way technology impacted sport. Since then, technology in sport has constantly sought to improve the way fans, teams and networks watch, coach, play and analyse sports. 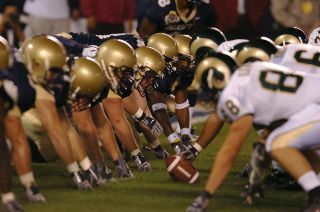 The National Football League (NFL) is the latest in a long list of sports using technology in this way. John Pollard, Vice President of Business Development for Zebra Sports, delves into the latest tech offering within the sport. As the “Official On-Field Player Tracking Provider” of the NFL, Zebra Technologies is committed to supporting the league’s Next Gen Stats initiative by enabling the NFL to collect real-time location data that captures the speed and acceleration of every player and every play on every inch of the field. The Zebra Sports Solution leverages the same tracking and location solutions technology that the company implements globally to benefit enterprises in healthcare, retail, manufacturing and transportation & logistics. When deployed in sporting environments, the technology enables NFL teams to utilize their data in the same way that it helps businesses. Radio-Frequency Identification (RFID) tags, the same technology helping major company’s supply chain logistics and inventory tracking systems, are being used by the NFL to uncover and reveal new game-day knowledge and player insights. Since 2014, each player has worn sensors under each shoulder pad. They emit unique radio frequencies at 25 signals per algorithm then aggregate players’ stats from the data, providing information such as speed, distance covered, acceleration, deceleration, and proximity. Fans also benefit as the technology allows for easy integration with graphics systems, for both live broadcast and replay, so spectating is taken to the next level as the real-time stats on players create a deeper and compelling fan experience. This season the NFL has expanded its use of RFID technology to include chips in every game ball – providing data such as the location of the ball, its speed, rotation, and height whether it is moving in a spiral or end-over-end. The tag-equipped ball allows the game to go on as usual. Designed to meet all the specifications of a gameday ball, the chip was engineered and placed specifically as to not affect things like ball flight or rotation, and as a result the ‘tagged’ footballs maintain the same feel and movement of a traditional football. During play, information from the ball is picked up by a series of receivers placed around the stadium – these are the same receivers collecting information from the player tags. Information can then be relayed, such as the velocity and rotation of the football. Since the ball moves at drastically higher speeds than the players, ball data is going to be generated much faster, capturing 25 data points per second throughout the game. Working in tandem, the combination of player and ball tracking could prove extremely useful from a strategic perspective. For example, the tracking information enables coaches to track how quickly their players cover a punt relative to the ball’s position in space. These insights provide coaches with a completely new information resource regarding player performance. This also means big things for broadcast, as home viewers could have data-culled explanations of what takes place on the field. Practice tracking is now considered one of the true and best football-related advantages of RFID technology and is used widely across the NFL. Zebra's solution enables an easy to operate, reliable, consistent, and data-forward analysis method, allowing coaches to monitor player performance in-practice using real-time data generated during practice sessions. Zebra’s practice solution allows strength and conditioning coaches, and the entire training staff to keep athletes at peak performance levels by developing tailored training plans based on individual performance metrics and fatigue thresholds. The proprietary software provided as part of Zebra’s sports practice system further enables NFL coaches to sync with official game-day data and integrate it to quickly correlate practice and game performance data and optimise training. In addition to coaching, this new world of data has untold potential for broadcasters and fans alike. As part of its Next Gen Stats initiative, the NFL has a vision to enhance the fan experience through the information and insights collected by Zebra’s technology. NFL fans have an insatiable appetite for player statistics, so Zebra’s technology provides data to the NFL who then uses the information to enhance the fan experience in the stadium and at home – enabling fans to view never-before-seen real-time player data and compelling new performance insights. This has made for a more immersive viewing experiences, increasing fan interest with compelling new content that promotes connectivity and the understanding fans have of players, teams and on-field strategy. The sporting industry certainly has come a long way since 1888 and if the recent advances in the NFL are anything to go by things don’t look to be slowing down. While Zebra has been helping enterprises explore the possibilities that data visibility offers for decades, we have just scraped the surface with RFID capabilities in the world of sports, and as a full spectrum of technology continues to be leveraged across multiple sports properties, its impact will be significant. While game-day and practice session tracking continues to evolve, new player tracking insights is changing how fans relate to sport, how media companies tell compelling stories via their broadcasts, and is enabling a transformation in coaching and athlete training, development, and performance analysis.